Do you know that you can apply for a credit card and get approved online? 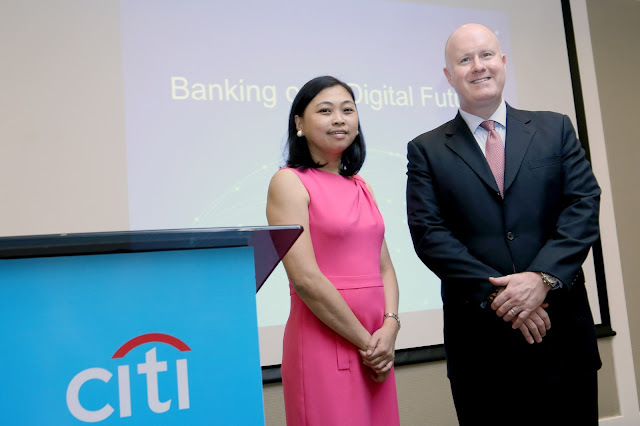 Citi Philippines latest digital innovation comes in the form of online credit card application and approval program, a first in the Philippines. You dont need to visit the bank and the malls anymore just to fill up those application forms. You can do it at the comfort of your room. It saves time and energy. Just visit Citi PH website to fill up some forms. David Stoughton, Director for Credit Payment Products graced the launch of Citi PH Credit card application online on March 16 at Discovery Primea. He told the media that clients can expect to get credit approval online, after they complete the simplified application form and submit digitized copies of required documents. If you apply online, you also get a digitized reward as soon as you complete an application. Apply now until April 30, complete an application online and receive an electronic voucher, wherein you can redeem for an Auntie Anne’s pretzel and iced tea. Upon approval, clients who are getting their first Citi credit card and make a purchase of P20,000 or more within 60 days are also eligible to get a Fitbit Charge 2 fitness wristband. 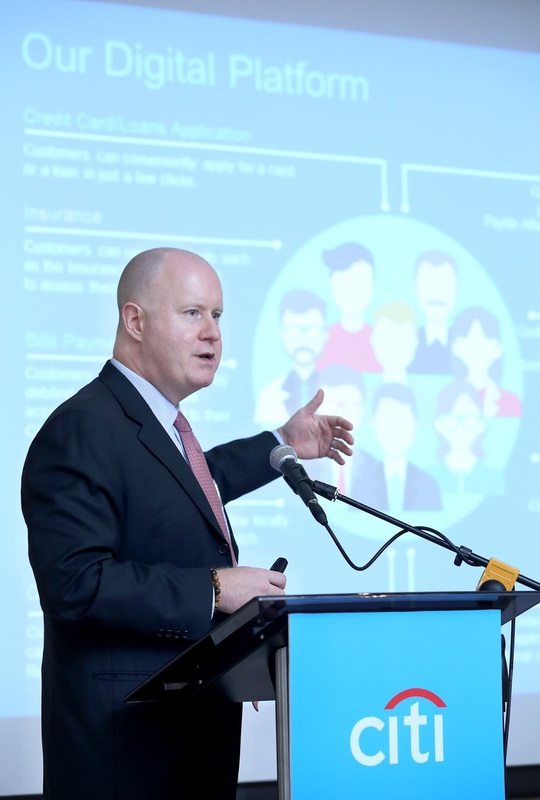 The country’s leading foreign bank continues its aggressive bid to be the number one digital bank in the country with the launch of new digital partnerships, products and services. Apply online and get a digitized reward too! With the digitized application and approval process, a client will know in minutes if he or she is qualified for a Citi credit card. “This is a game changer as we continue to look at our products and services, and accelerate digitization to deliver remarkable client experiences,” said Stoughton. Citi also digitized its rewards – clients who prefer to submit applications through promotion booths in shopping centers or travel exhibits because of attractive turn-in gifts will be pleased to discover they won’t be missing out just because they will do it online. Citi also recently unveiled another strategic digital partnership, this time with Amazon. The Philippines will come next after Thailand where credit card holders can now use their Rewards Points to pay for purchases at Amazon.com. 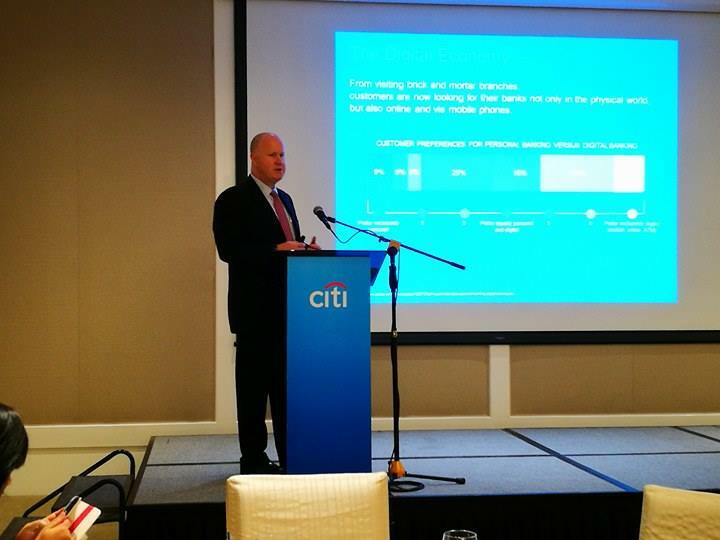 On average, Citi announced a new digital innovation or partnership fortnightly in the last 12 months across Asia. 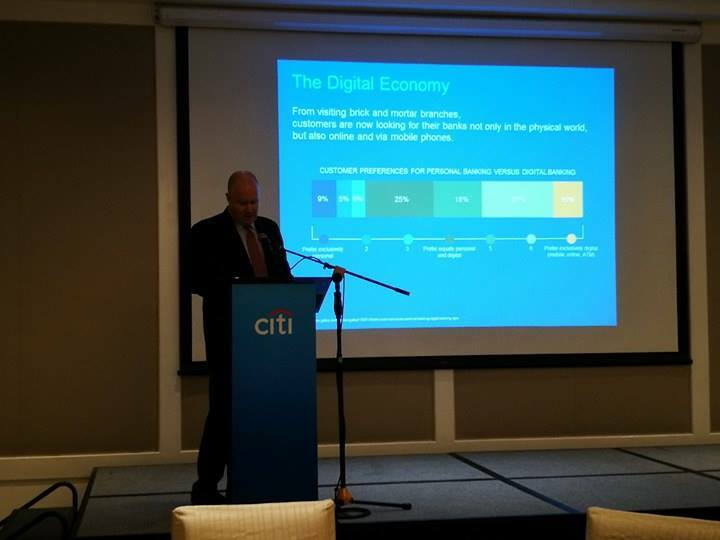 During 2016, Citi announced strategic partnerships in leading digital ecosystems across the region. Some of these included Alipay and WeChat in China and Line in Thailand and Taiwan. The bank also formed digital credit card partnerships with the likes of Airbnb and Uber in various countries. The bank’s social media followers in Asia grew from 3million to over 10million during 2016. In the Philippines, its regional digital partners include: Booky, an offline restaurant finder; Zennya, the world’s first spa on-demand app; Lazada, the leading online shopping mall in the country; and Grab, Southeast Asia’s leading ride-hailing platform, to name a few. In the country, Citi’s ongoing promotions with leading travel sites including Asiatravel (grab 12% off on hotel bookings until June 30, 2017); Agoda (get 10% off on hotel accommodations year-long); Expedia (enjoy 8% off until October 2017); and Airbnb (on first stay, get P1,800 off until November 15, 2017). Beyond travel, expect to also enjoy exclusive discounts when shopping online with Citi credit cards. “Our Consumer Bank business in Asia draws some 20 million visits to our online properties every month and between 90 to 95% of all transactions already happens outside a branch,” Stoughton. He added that regional figures show one out of every four new credit card accounts acquired comes from digital sources and over 50% of clients are actively using digital banking channels, up from 30% three years ago. 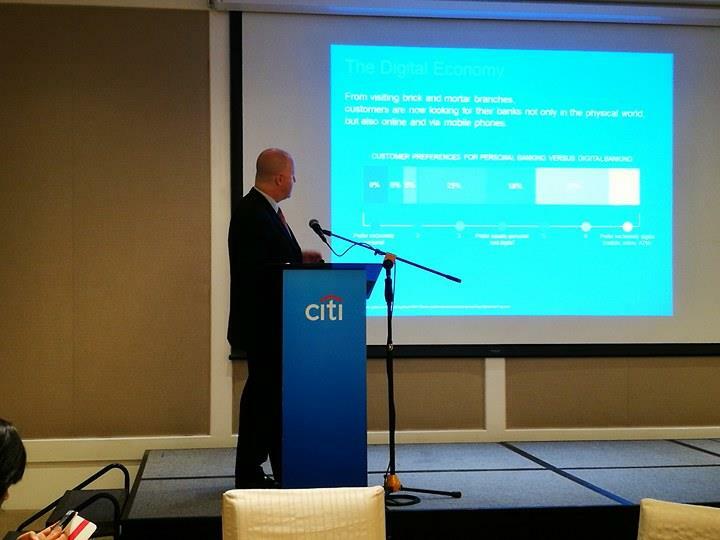 Over the past five years, traffic in Citi branches across Asia has declined 50% as digital transactions grew over 100%. While digital banking is not completely replacing the branch experience, the nature of branch interactions is changing, and Citi’s strategy is now aimed at a combination of bricks and clicks. “In our drive to digital, we have also become the credit card brand that online and mobile retailers prefer. This initiative presents a bright outlook in a country which greatly embraces the growth of online shopping and lifestyle,” added Stoughton. Over the last year, Citi launched the newly-refreshed Citi Mobile App in Asia featuring easy-to-use functionality and interfaces such as Snapshot and Touch ID which has seen over 2m million downloads to-date. The bank also was the first to launch Voice Biometrics across the region which has since received more than 700,000 sign-ups from customers with over 1m clients consenting. “We are focused on becoming the world’s leading digital bank, and we will continue to leverage on our global network for strategic partnerships even as we develop and deliver digital products and services,” said Stoughton. On Moon Bitcoin you may get free bitcoins. 290 satoshi every 50 mins. Have you ever tried maximizing your free satoshi claims by using a BITCOIN FAUCET ROTATOR?